Juliana and her partner, Stephen, knew when they bought their condo: the kitchen would have to go. Its two major flaws? Lack of space. To call this kitchen “cramped” is an understatement! It was dated. 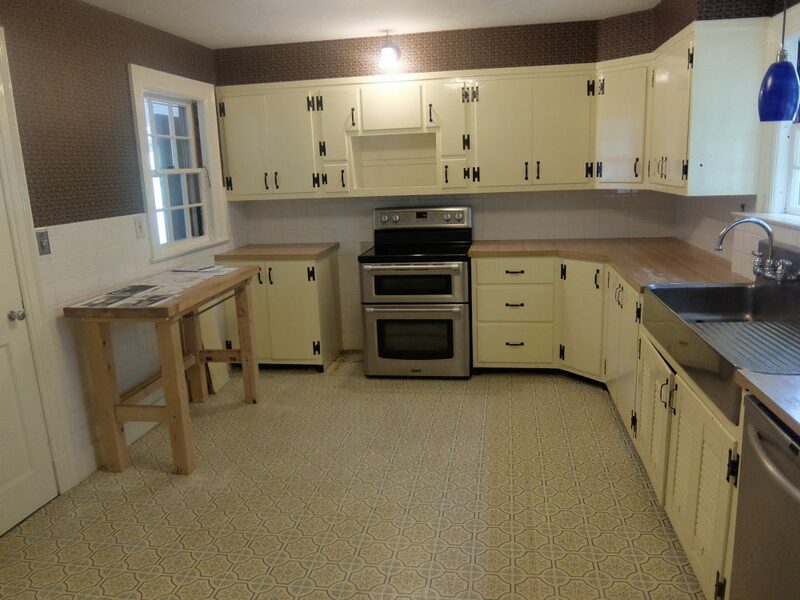 Not “1930s kitchen” dated, but even still… Well, just look. Unfortunately, their chosen contractor didn’t do the design process — but help was just a quick Google search away. Once they found IKD, they knew they could get the ball rolling. The end result? Goodbye, cramped quarters. Goodbye, dated aesthetic. Hello, stylish, sleek, spacious IKEA kitchen! Every kitchen has its share of challenges when it comes to making kitchen dreams a reality. Luckily, the expert team here at IKD knew just how to solve those problems. Let’s take a look at how the team helped Juliana get the spacious IKEA kitchen she wanted. Challenge #1: get a more “open concept.” Step one: knock out two walls. Step two: add a peninsula. Not only did this open up the closed-off space, it also gave Juliana and Stephen the added bonus of more countertop space for meal prep. After: at last, some breathing room. Challenge #2: maximize storage. Juliana and Stephen both love to cook, so they knew they needed plenty of storage to go along with their increased countertop space. The peninsula played a role here, too! Also, they knocked out the bulkhead to make their cabinets taller. Voila! Instant extra storage. Challenge #3: bring a bit of Europe to the US. The model kitchen that inspired their design had a false front over the dishwasher, something common in European kitchens. 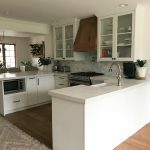 Those false fronts aren’t as common here in the states — but luckily, after some back and forth, they were able to get what they wanted to bring their dream kitchen to life. Do you feel the wheels of inspiration turning? 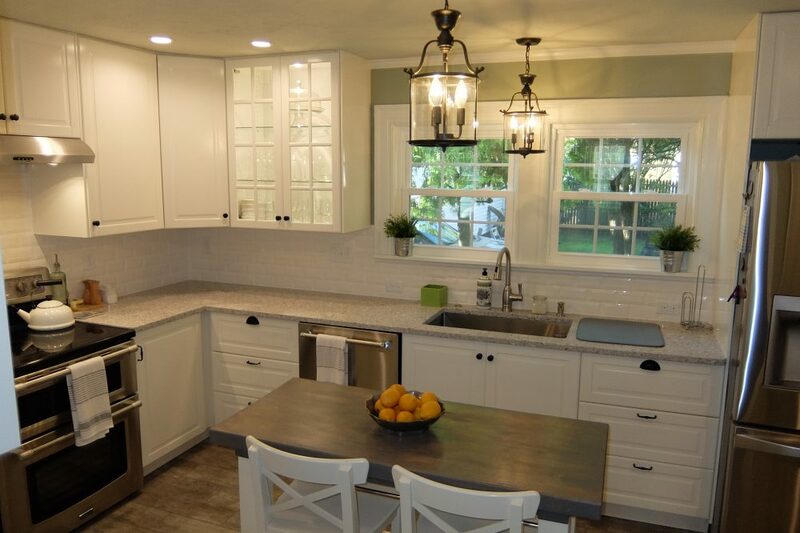 Have you been dreaming of a kitchen remodel of your own? Juliana has two pieces of advice for anyone about to start their kitchen journey. Work with good people. Like true city dwellers, Juliana and Stephen don’t have a car. This made returns and exchanges a bit of a hassle! Luckily, their contractor helped out, ferrying products between the condo and the nearest IKEA. After three months of “hurry up and wait,” Juliana and Stephen finally have the stylish, spacious IKEA kitchen they wanted. We especially love all the shades of gray in the backsplash. 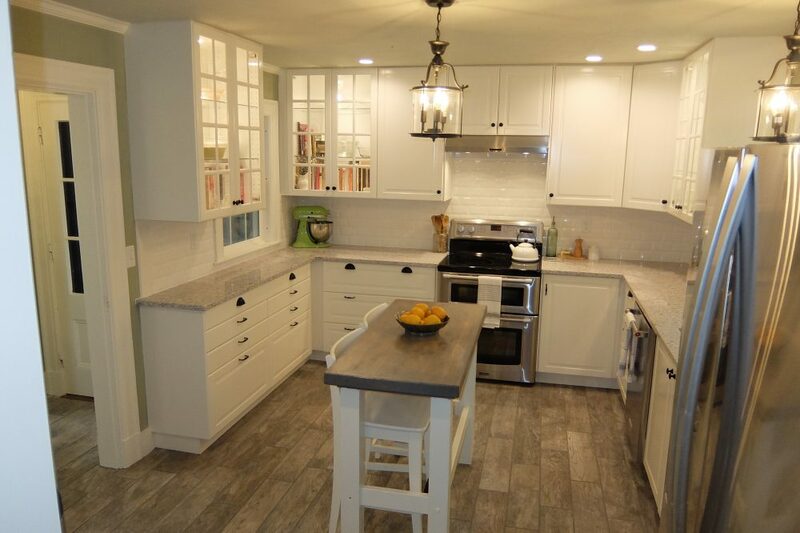 They perfectly complement the new countertop and cabinet doors, as well as the existing tile floor. On our most recent visit, we couldn’t help thinking about different ways those shallow base cabinets could be total game-changers for holiday parties. 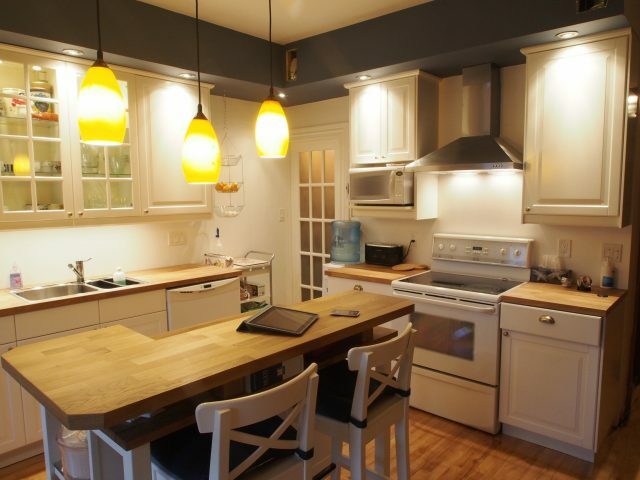 Lots of IKD customers use their kitchens as an entertaining space and, hey, ‘tis the season! Strangely enough, however, people don’t really know about this option — even though it’s on the website! We think it’s because of how you would find these on the website. You have to click the Size dropdown to see what options there are. If you’re just getting started with your design, these nuances might slip right past your radar. But that’s why we’re here: to show you a few of the ways IKEA’s 15” deep drawers can make your holiday parties shine! During the holidays, your kitchen works overtime — and if you’ve got a small kitchen, you know you need to optimize your space as much as possible. Here at IKD, we often design for customers who don’t have enough space for traditional 24”-deep cabinets along all three kitchen walls. That’s when we turn to shallow base cabinets! More often than not, at 15”-deep, they’re the ticket to getting more storage into your IKEA kitchen. Look at the corner in the photo above. 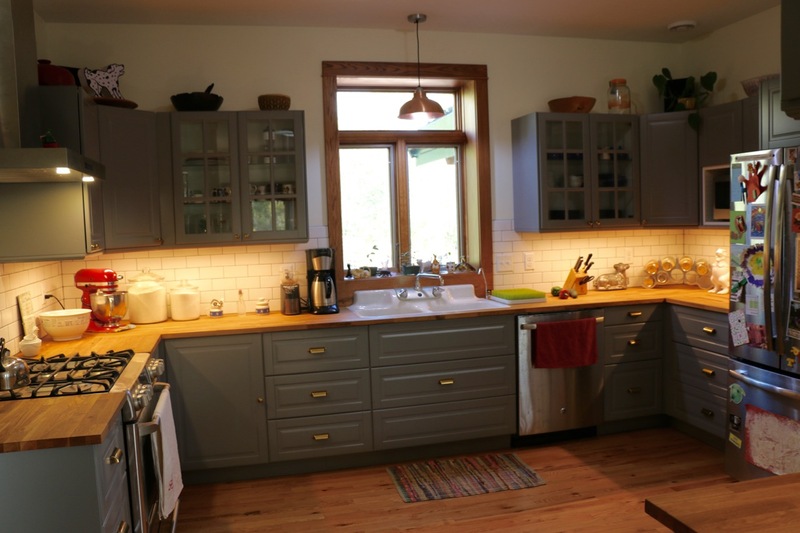 See how the row of 24” cabinets with the sink meets up with a much shallower row of cabinets? This isn’t just chic: it’s also functional. By designing this way, you can have the kitchen work triangle that makes holiday meal prep a breeze. We loved this in the IKEA showroom…but the photo we took was blurry. Thanks house*tweaking.com for letting us borrow your photo. Whether you’re serving latkes, Lussekatter, or a tried and true fruitcake, this clever floating buffer area is a great place to display your holiday treats. 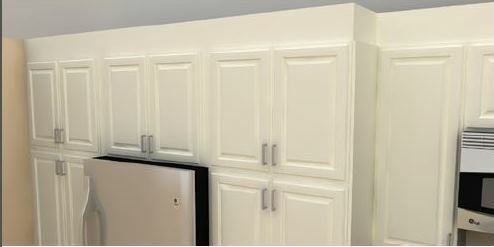 The shallow base cabinets attach to the wall and won’t prevent your guests from circulating. Stash extra plates, napkins, and toothpicks down below in case of party emergencies! We see this setup working perfectly either behind a large kitchen island, or between the kitchen and dining rooms. Want to change it up a bit? Consider purchasing some decorative legs to make the buffet look like a credenza. Take a look at the Pretty Pegs website — they have decorative legs with a mid-century modern feel. You can see the wine rack above, but that’s not all this bar has going for it. Take a look at what’s behind the doors! Hobby mixologists, eat your hearts out. You can keep all your bar accessories within reach with these shallow drawers. Depending on the kind of party you like to throw, be sure to save some space for cards and poker chips, or Solo cups and ping-pong balls. I won’t judge. What do you think? Have we gotten you dreaming of a new IKEA kitchen? You can always drop us a note if you need assistance figuring out the details. 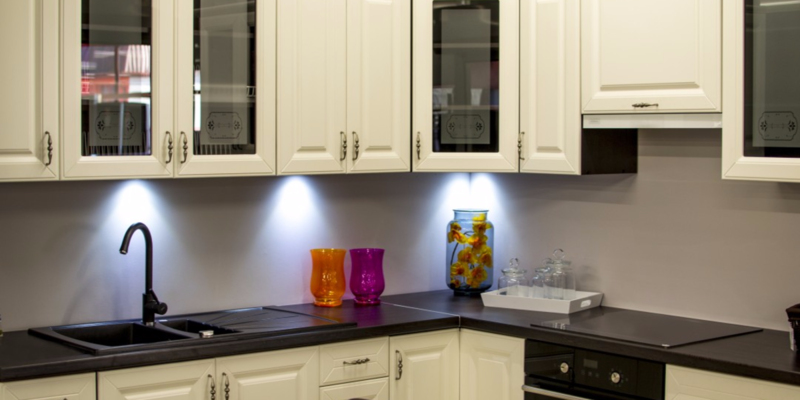 We’d be happy to talk to you about how IKD can help you personally with your IKEA kitchen design – free of charge. “beesley kitchen christmas eve” by Flickr user chuck_heston, licensed under CC BY-SA 2.0. All other images were taken by IKD staff, except for the house*tweaking photo indicated. House*tweaking often features IKEA kitchens with lots and lots of before and after photos…take a look at the series here. The holiday season is upon us! With all the upcoming festivities that means your kitchen will be doing double duty. Do you have visions of a new IKEA kitchen dancing in your head? We here at IKD don’t blame you! A beautiful, functional kitchen can make the difference between a memorable holiday party and a complete fiasco. But if you’re tempted by the IKEA Home Planner, be warned: it has some serious (and sneaky) shortcomings. I know: the IKEA Home Planner sounds so easy. Go online, click around a bit, add a few measurements and, hey presto, out pops a fantastic 3D design and shopping list. Everything you need to get that kitchen you’ve been dreaming of. Right? Yes, the Home Planner gives you a rough idea of what might look good in your kitchen but, as our customers tell us, it’s far from user-friendly. It also doesn’t tell you the whole story. You’ll have to return to the store, get caught up in endless cues to talk to support staff and typically end up having to make extra purchases. IKEA’s business is built around the whole concept of DIY. Modern Scandinavian furniture that’s easy to assemble — that’s IKEA’s cornerstone. Now this might work for a lamp, a table or desk. But everyone knows assembling IKEA furniture isn’t always a piece of cake. Just ask actor Ryan Reynolds! Your kitchen isn’t a few cabinets, thrown together on a weekend – no matter what the adverts say. When you’re making a big investment that will affect the look and feel of your home for years to come, a kitchen requires detailed planning and design work. Even if you’re planning to handle the kitchen install yourself. Now, this isn’t to say you don’t get help in IKEA stores with the Home Planner. Ultimately, however, it’s not the same as working with a professional kitchen designer with years of experience. As we see it, if you’re planning to work with the IKEA Home Planner this holiday season, there are three major limitations of the IKEA Home Planner that can make-or-break your kitchen remodel! A gap between the cabinets and the ceiling of your kitchen is inevitable. Kitchen ceiling height is typically 96”. But wall cabinets tend to end up 3” to 12” underneath that. A PERFEKT 3’x8’ cover panel is used here to close the ceiling gap. Homeowners usually want to get rid of this “dead space” because it doesn’t look good and (worse!) is a dust trap. With other cabinet brands, this procedure is done with a combination of moldings or strips made specifically for this purpose. IKEA, however, currently doesn’t offer these options. The solution with IKEA kitchens is an IKEA plinth or a PERFEKT cover panel. In either case, depending on the size of the gap, you’ll need to cut it down to size to close the space d.
Here’s the tricky part: the IKEA Home Planner won’t allow you to design with these pieces. Not only that, it doesn’t calculate the costs of these in the shopping list. Imagine being in the middle of installing your kitchen only to find out you need to go back to the store to buy more items! Between in-laws, food allergies, and gift exchanges, you’ve got enough on your plate this holiday season. Most countertops need extra support when there isn’t enough cabinet support. A 30”x 40” front for integrated appliances serves as an extra countertop support. A 30”x 40” front for integrated appliances serves as an additional countertop support. These examples all need extra countertop support. The IKEA Home Planner does not allow you to design with these panels. What’s more, it doesn’t calculate them in the Home Planner price list. The panels need to be purchased separately, in addition to your cabinet selection. The panels also need to be cut down! Oh, and don’t forget to match the color with your cabinets. Most good kitchen designs frame the refrigerator with panels on either side. The benefit of this is that you hide the ugly side of the appliance, better integrating it with the overall kitchen fittings. More importantly, however, is that, the panels offer better support for the deep (and ultimately heavy) cabinet over the refrigerator. Again, you need to be aware that you will need to buy PERFEKT panels that match your cabinets, and cut them down to frame the refrigerator. The Home Planner does not include them in the design and the extra cost is not worked in. The kitchen design process has a lot more going on “under the hood” than IKEA’s Home Planner lets on. When you work with kitchen design professionals, you take the guess work out of these decisions. You’ll also get an accurate cost for the units you’ll need to buy, potentially saving you trips back to the store. Aren’t the holidays stressful enough as it is? If you’re still set on designing your own kitchen, why not download our ebook, There are 3 things IKEA can’t do for your kitchen design. We wrote it to help customers like you how to get around the limitations of the IKEA Home Planner. It’s critical to get your design right the first time. Why tear out your hair using the Home Planner, when you can hire us? We have years of experience designing beautiful IKEA kitchens. We use our IKEA kitchen design tool to give you a beautiful, 3D rendering of your kitchen design, complete with accurate shopping list. We have an important question for our IKEA kitchen customers as winter approaches: Got (a) Hygge (kitchen) ? Hygge is the Danish word for cozy and comfortable, which is exactly how we like to feel in the winter. But don’t be fooled by all of the design blogs that focus on pillows and blankets. Your IKEA kitchen can be hygge too – it’s what Scandinavian design is all about. Today we’re going to share with you 3 IKEA kitchens that were designed for cold climates so you can stay hygge all year. Nearly every single one of our clients asks us to incorporate guests into their IKEA kitchen design. And by incorporate them, we mean “help me find a place to put my guests while I’m cooking!” What they want is a social prep area in their kitchen. Whether you want your guests to stay out of the way or you want to put them to work, planning an area for guests to gather will make your time working in the kitchen much easier. We’ve pulled together some of our favorite IKEA kitchen designs that we think have a great social prep area built in. 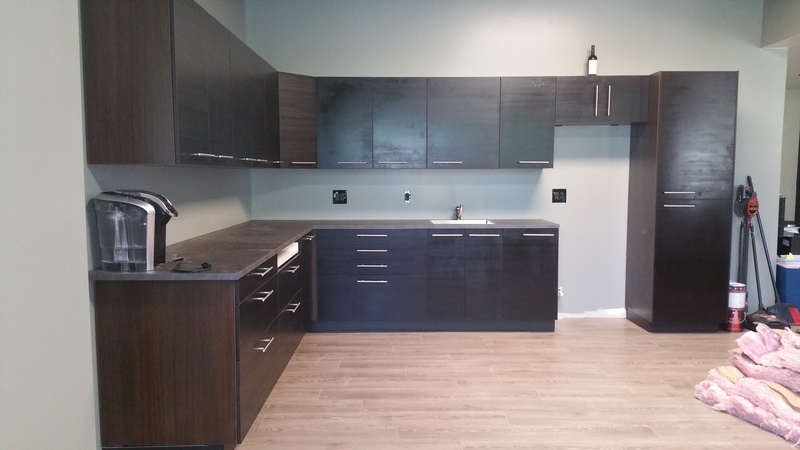 Lauren and Michael recently completed their IKEA kitchen installation in their weekend home and couldn’t be happier. Semihandmade doors, marble countertops, and a custom bench with storage designed by IKD all add up to a stunning kitchen. The end result completely won over Lauren and Michael’s general contractor and interior decorator. Originally they were reluctant to use IKEA and cautioned them against it. Both of them felt it would be better to work with a custom cabinet maker for their posh home. But Michael really wanted IKEA. And now the both the contractor and decorator have had a complete change of heart. Just before the IKEA kitchen sale started, we completed another kosher-friendly kitchen design and today we’re going to share some tips with you. Since we were first asked to design a kosher-friendly IKEA kitchen way back in 2010, we’ve learned a lot of design tricks that can make it easier for families who keep kosher. It doesn’t matter if you keep kosher all year or only for Passover. Having an IKEA kitchen that’s designed to be kosher-friendly makes it so much easier to follow kashrut, the Jewish law pertaining to how foods must be prepared and eaten. 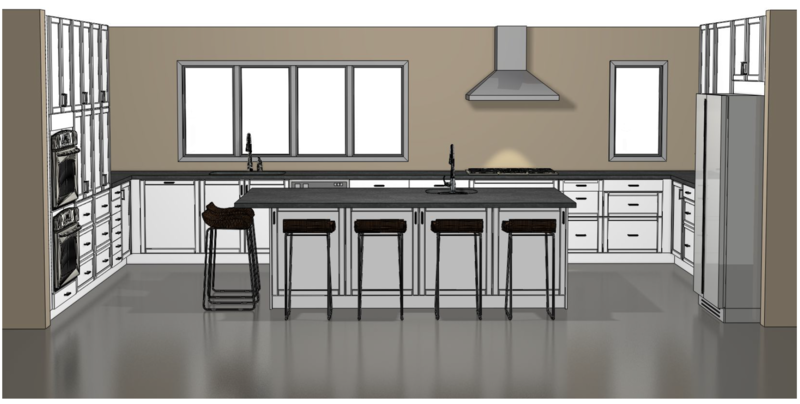 Here’s an example of an IKD kosher kitchen. It includes two dishwashers, two sinks, a large stove, a double oven, a microwave, lots of pantry storage and a standard-sized fridge. Important note: these tips are not absolute. Depending on your level of religious observance, some tips may not apply. We tried to cover a wide range of options based on our experience as IKEA kitchen designers. IKEA kitchen buyers, are you trying to take advantage of the IKEA kitchen sale running until November 19, 2017? 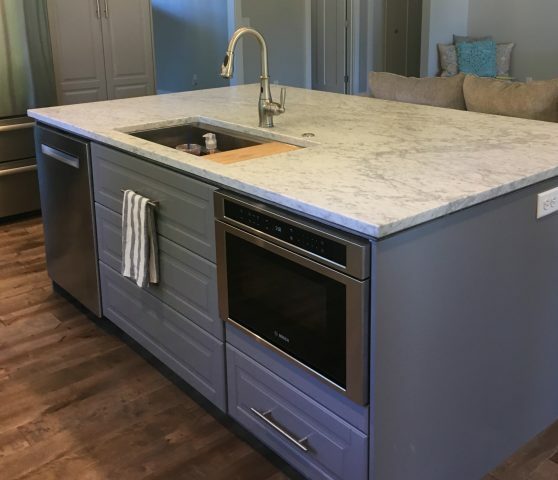 If you live in Maryland, Virginia, or Washington DC, we have the IKEA kitchen installer for you: Any Assembly based in Baltimore County, Maryland. Some kitchens come in standard, easy-to-design shapes: galley, L-shaped, and U-shaped kitchens are typical. More often than not, however, IKD customers need design help for an awkward kitchen. Secretly we love the challenge of an odd kitchen! Michael and Linda’s kitchen was long and narrow with a big peninsula, which made working in the kitchen difficult. This awkward kitchen had last been updated in the 1980s and needed a facelift as well. 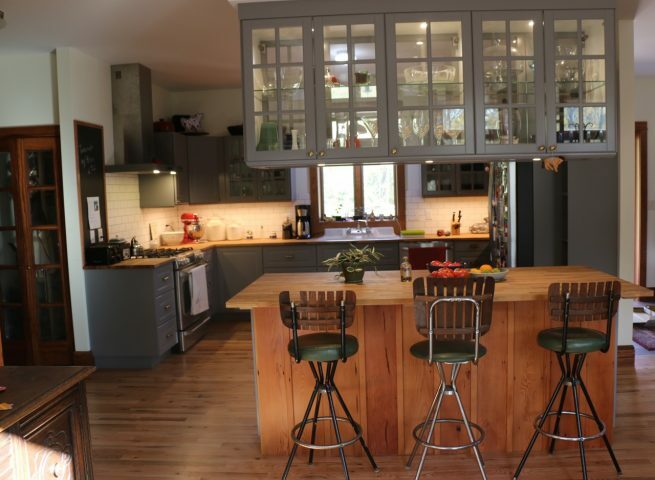 Here’s how they turned their awkward kitchen shape into a miracle of function and beauty. As seasoned kitchen designers who have spent the last 10 years designing IKEA kitchens, we’ve seen some real uggos. But last year we discovered the world’s ugliest kitchen and kitchen island were actually located in the Canadian province of Quebec. 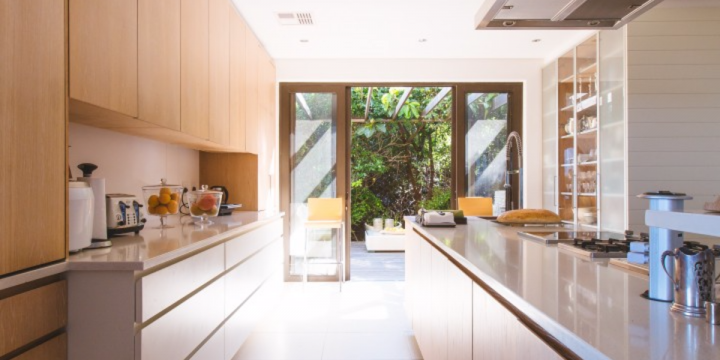 Kevin & Ellie’s kitchen is now in the running for World’s Most Beautiful Kitchen. To really appreciate the beauty you see here, you have to see the “before” photos. And by before we mean before they got rid of a tiny pass-through by taking out the wall between the kitchen and the dining room. Wondering how to measure your kitchen? Feeling worried you’ll do it “wrong” ? We made a short video to show you how to do it. We really think you’ll be surprised – nay, delighted – how easy it is to take your kitchen measurements so you can start designing your new IKEA kitchen. You absolutely do not need to be a pro to measure like a pro! Even though measuring your kitchen is as easy as apple pie, some of our customers really worry they will do it wrong and “mess up” their IKEA kitchen. These customers come down a raging case of KMA (Kitchen Measurement Anxiety). Strangely you won’t find this diagnosis on WebMD! We were intrigued! Why did building a kitchen with IKEA take guts? Was it the stress factor of using the Kitchen Planner? 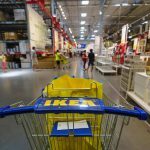 The fear factor of IKEA running out of stock during a sale? Or was it the aggravation factor of navigating the IKEA store maze over and over? Nope. Heather was concerned the kitchen wouldn’t look high-end enough for its eventual re-sale.